Marshmallow Man to Ironman: Fake Bike Trip - DONE! Fake Bike Trip - DONE! I went out today for a rather ill-advised 90km ride just to finish this thing off. 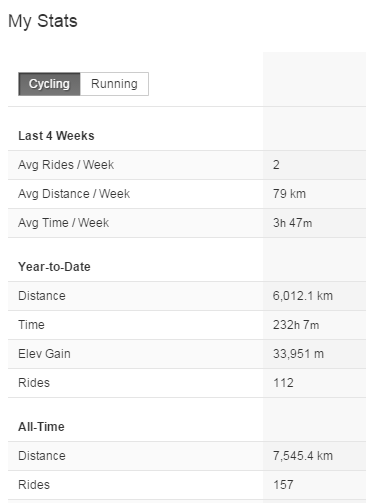 I've officially topped 6,148km since I started Dec 21 of last year, putting me beyond my goal. I have biked the distance from Whitby, Ontario alllll the way to Delta Junction, Alaska. 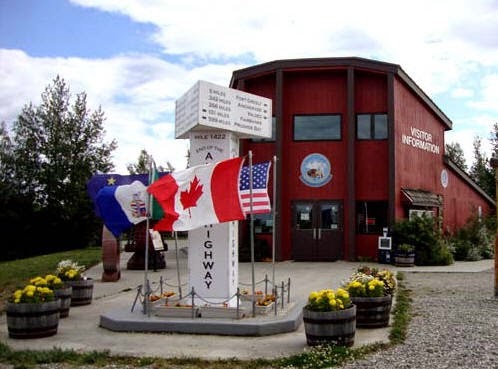 Apparently Delta Junction is the end of the Alaska Highway. Who knew? I also have topped 6000km for the year. I would be surprised if I ever hit this kind of number again in my life... I love mountain biking and off-road stuff, so all this road mileage isn't really in the cards. Unless I lose my brain and try Ironman again (Whaaaaat!?). It's been awesome, though, I've actually really enjoyed all those kilometers. Mostly solo miles, just me, my thoughts, and the open road... lovely.